On behalf of the Commission and Staff, I wish to welcome you all to this important occasion of the inaugural Open Day for the Electoral Commission of Zambia (ECZ). The Open Day is being held in accordance with one of the Commission’s Strategic Objectives to enhance Stakeholder confidence and participation in the electoral process through regular engagements and awareness programmes. The Commission would like to increase awareness about the electoral process and voting to make it a worthwhile experience for the electorate and all the stakeholders. This is a very significant day for the Commission as it presents a number of activities that signify some of its achievements. The day also gives the Commission and the Stakeholders an opportunity to share information, knowledge and experiences about the electoral process and at the same time initiate conversation about the improvement of our processes. Furthermore, the Open Day underscores the Commission’s transparency in its operations. This day could not have come at a better time than this when the country is preparing for the conduct of the 2021 General Elections. The Commission is actively working in the background on the roadmap for the 2021 general elections which will be communicated in due course. This year the Commission is expected to undertake the Delimitation exercise, which will enhance efficiency in the management of the elections as the delimiting of electoral boundaries will make registration and polling stations more accessible to both the voters and those who are managing the process. The Commission will also conduct Voter Registration and explore the possibilities of conducting online registration of voters in view of the changing global electronic and digital milieu. It is hoped that that those who will be eligible to register will heed the call once the Commission begins to implement this process. The Commission would especially like to inspire the young generation to actively participate in the electoral process and not only be used as tools of violence in electoral campaigns. It is in this vain, that I am imploring young people to take interest not only in voting but also participate in leadership roles. With regard to the conduct of all political parties, candidates, and other stakeholders during, before and after elections the Commission has been saddened by the unprecedented reports of spates of violence during by-elections which have been perpetrated by political cadres. This has been compounded by unfounded media reports especially on social media of electoral irregularities. The Commission would not like to see these vices continue in 2021, and I wish to call upon all those involved in such vices to refrain from such acts. Suspected electoral irregularities should be reported to the Conflict Management Committees which have been put in place at the National and district level. The Committees are on alert to receive and resolve complaints and any reports of such nature. Further, any electoral malpractice should be reported to the Police, Anti-Corruption Commission or any other law enforcement agencies. All peace loving and law abiding citizens must realise that they each have a role to play, to contribute to peaceful transitions through the conduct of peaceful elections. As stakeholders, let us all be reminded that we are all guided by the Electoral Code of Conduct and we expect all players to comply with the provisions of the Code. 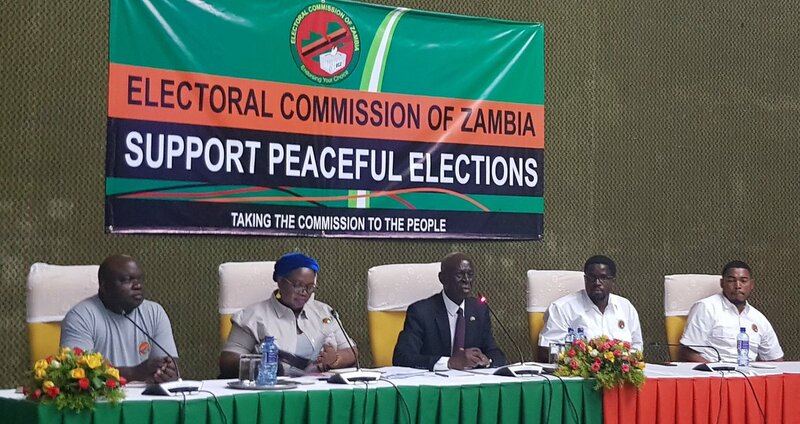 May I at this moment, reiterate that the Electoral Commission of Zambia is an institution that has been put in place to uphold one of the tenets of democracy to conduct peaceful and credible elections for the people of Zambia. It is therefore expected that the Commission receives the utmost support from the stakeholders and the general populace. The Commission values its interactions with stakeholders and wishes to inform you that we shall continue with similar engagements such as this one whenever need arises. The Commission periodically meets with political parties through the Political Party Liaison Committees and other stakeholder interactions. On this occasion of the Open Day, I wish to emphasise the importance of the role of electoral administrators and officials who work tirelessly to ensure the conduct of efficient and credible elections. Elections are an enormous task that require commitment and dedication. 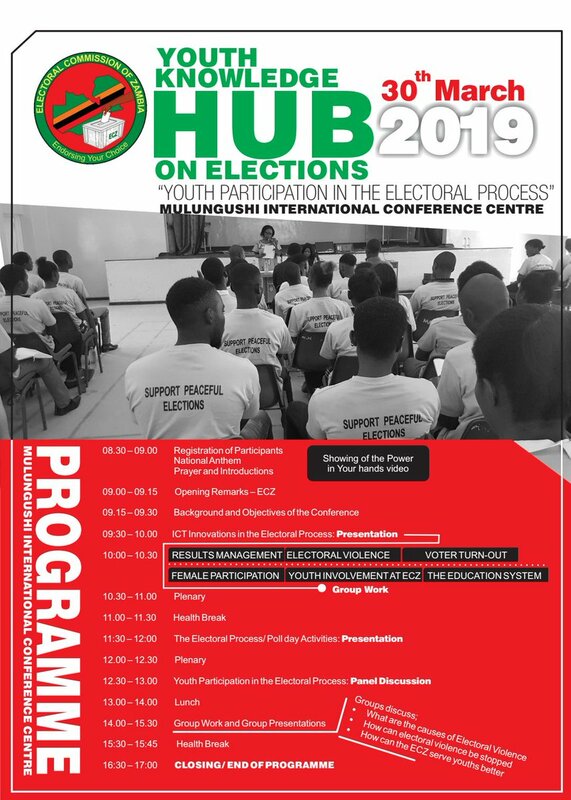 During this event you will be given an opportunity to see the operations of the various departments of the Commission, to give you an appreciation of the work that is involved in the execution of elections. With these few words, I wish you the best and wish you God’s blessings. View and download resource materials developed by the Commission. An electoral system is a set of rules on how votes are converted into seats for political or civic authority. The purpose of an electoral system is to translate the will of the people to decide on who should be President, Members of Parliament, Mayors/Council Chairpersons and Councillors. 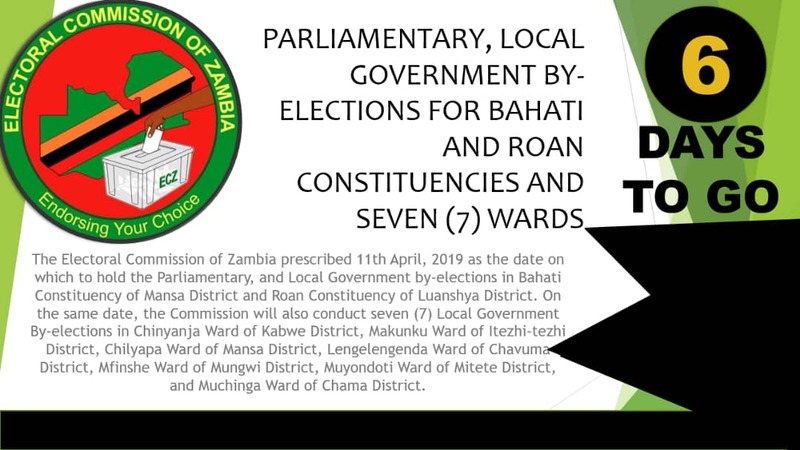 The Electoral System in Zambia is twofold; majoritarian and simple majority or first past the post. The Commission is an independent and autonomous Electoral Management Body (EMB) established in 1996. Since its establishment, the Commission has delivered five (5) General Elections (in 1996, 2001, 2006, 2011 and 2016), two (2) Presidential Elections (in 2008 and 2015) and several National Assembly and Local Government by-elections. Voters are persons eligible to vote in an election. The role of voters is to choose representatives by casting ballots in an election. Voters should be Zambian citizens, aged 18 and above, in possession of a green National Registration Card and a Voter’s Card. In order to vote, they must be registered in the polling station appearing on their Voters’ Card. They must also appear in the Register of Voters for that particular polling station. Candidates seek political power by participating in elections and campaigning for support from voters. Political parties and candidates are expected to adhere to all the electoral procedures and laws, including the Electoral Code of Conduct (ECC) which they should subscribe to through the Declaration of Compliance to the Electoral Code of Conduct. The role of monitors and observers is to gather, examine and evaluate information relating to the electoral process. During an electoral activity, a monitor plays an active role by intervening and bringing to the attention of the Presiding Officer, Returning Officer or any senior electoral official matters of concern that may arise. Observers play a passive role and are concerned with making an informed judgment on the credibility, legitimacy and transparency of the electoral process. An observer/monitor may inform the Commission in writing of any observed electoral malpractices.